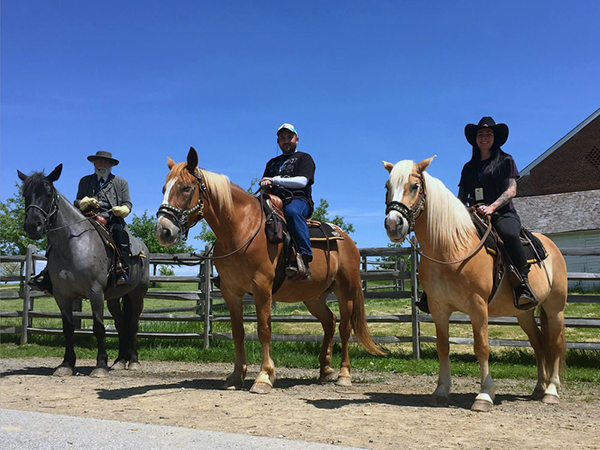 Book the horse tour rated #1 outdoor activity in Gettysburg on TripAdvisor. Normal tours are up to 14 people. Looking to book a larger group or a private tour? Please contact us and we will be happy to assist you! Ride from the Confederate Line to the Union Line. A Licensed Battlefield Guide will describe in detail the 3 days of Battle. You will see the Virginia Monument, cannons, The Spangler farm, Picketts' Charge, The Pennsylvania Monument, Little Round Top, and Big Round Top, The Trostle farm, photos taken and then return to McMillan Woods. Ride on this hallowed ground! See the fields from a soldiers perspective! 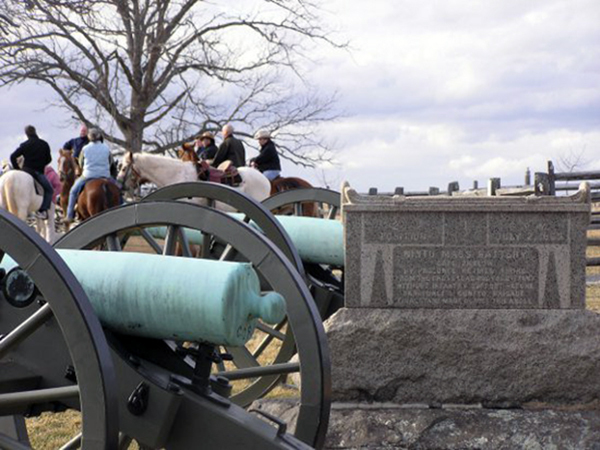 Ride from the Confederate Battle line into the Union battle line while listening to interesting facts about the Battle of Gettysburg, a trail guide will accompany you on this tour, you will see the Virginia Monument, Picketts' Charge, cannons, the famous Spangler Farm, the Pennsylvania Monument, Little and Big round Top, and the Famous Trostle Farm with photos taken there and then you ride back to McMillan woods. 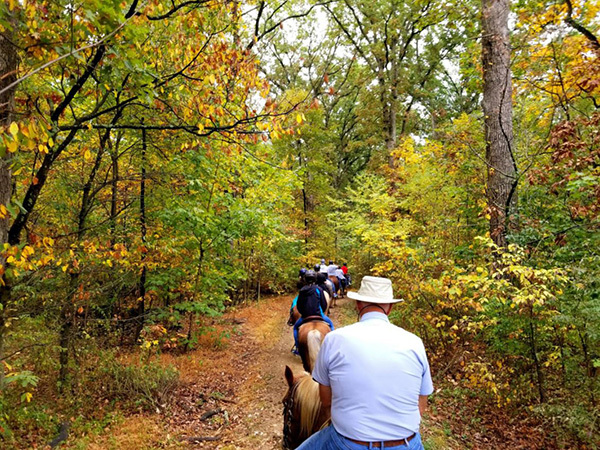 Ride from the Confederate Battle Line to the Emmittsburg Road, where you can view the Union battle Line (Semitary Ridge) a trail guide will accompany you. You will see the Virginia Monument, cannons, the famous Spangler farm, a panoramic view of Little and Big Round Top and Picketts' Charge. Have a photo taken out in the middle of the Battlefield and then ride back to McMillan Woods. 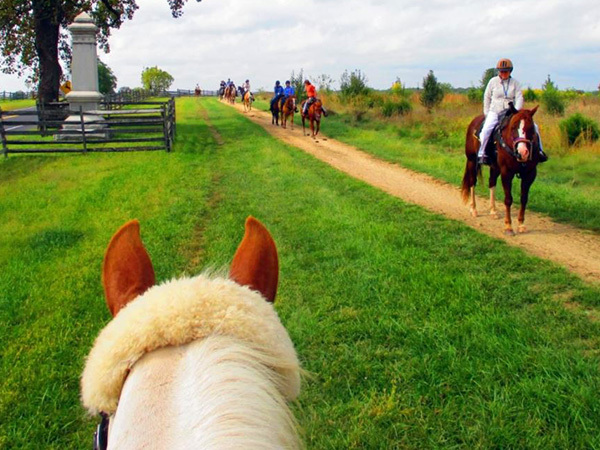 Ride on the Confederate side of the Battlefield and get to the famous Spangler farm. Have your photos taken and then return to Mcmillan woods. You will see cannons and the Virginia monument! An agreement and liability release form must be completed for each rider before the start of the tour. For your convenience you can print and sign our release form ahead of time and bring it with you.